In 1964 Sophie Birdwood studied History of Art at Homerton College, Cambridge and then pursued a career in advertising. Since 1996 she has been a full time painter exhibiting work at Cadogan Contemporary, the Mall Galleries, Francis Fyle, Jonathan Cooper, John Adam and Cricket Fine Art. Sophie's paintings have frequently been exhibited at the Royal College of Art and clients include corporate and individual collectors. 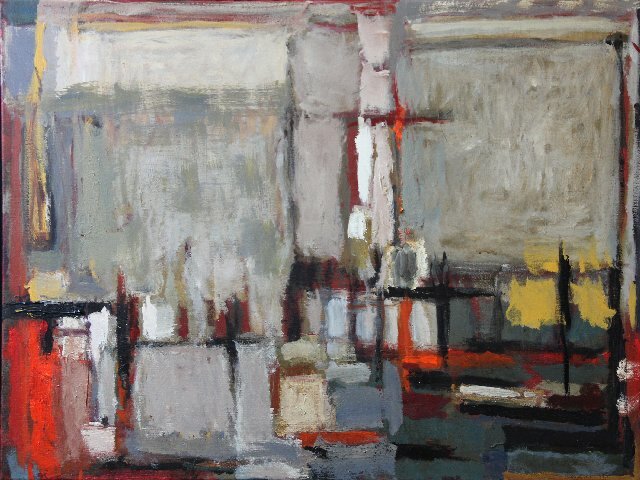 Here work is both figurative and abstract, the latter with undertones of the British painters of the 1950's and 1960's. Sophie divides her time between Italy and London. Her current body of work contrasts the subtle romanticism of the Umbrian landscape and the edginess of the metropolitan city. Sophie's distinctive style is evident in both genres. In 1989 Lord Gowrie, chairman of the Arts Council, referred to Sophie as a talented painter. In 2003 Melvyn Bragg, writer and broadcaster, said that Sophie 'transformed commonplace objects into paintings which are architecturally intriguing and powerfully still' and Charles Saatchi referred to Sophie's solo exhibition at Cadogan Contemporary as 'great painting'.